Manchester United manager Jose Mourinho has insisted that he was not directly involved in a deal which saw Romelu Lukaku arrive at Old Trafford this summer. The Belgium footballer was officially signed earlier in the week after United paid up an initial £75m to pursue his services from Everton. Lukaku bagged 25 goals in the English top-flight last season, and he would have been named the Golden Boot winner, had Tottenham Hotspur’s Harry Kane not come with a flurry of goals in the final weeks of the campaign. A reunion between Lukaku and Mourinho had looked far-fetched for the past couple of months, but the Red Devils managed to find a breakthrough in negotiations after executive vice-chairman Ed Woodward sealed the deal with the Merseyside outfit. “The reason why he was so important and difficult to get is what he did in the Premier League because obviously there are other good strikers in football but the Premier League is a very specific habitat, a different habitat, normally they need some time to adapt and Lukaku plays in Premier League for the last four or five seasons,” Mourinho told reporters. Even before Portugal’s triumph at last year’s Euros, centre back Jose Fonte had had an impressive season with Southampton as the Saints got the license to treat the rest of the league to a treat of attractive football in the top flight league in England and still manage to stay afloat far away from relegation, above the mid table as they battled Everton for the Europa League spot. It was, however, his impressive displays for Fernando Santos’ side at the Euros that made big clubs sit up and take a long and hard look at him as he helped marshal the Portuguese defence to the title – in much the same way that Moussa Sissoko’s marauding energy made Pochettino take him from Newcastle United just weeks after the tournament. Manchester United will have to cough up a sum of around £50m if they are to pursue the signature of Tottenham Hotspur ace Eric Dier this summer. The England international has integrated well into the Spurs’ squad, which has come close to lifting the Premier League title in recent seasons. Despite the progress, Dier is not entirely satisfied with his stay in north London as he has been often deployed in the backline rather than his preferred central midfield position. As a result, speculation over his future has intensified in recent weeks with Manchester United emerging as potential contenders to secure his signature this summer, The Telegraph reports. 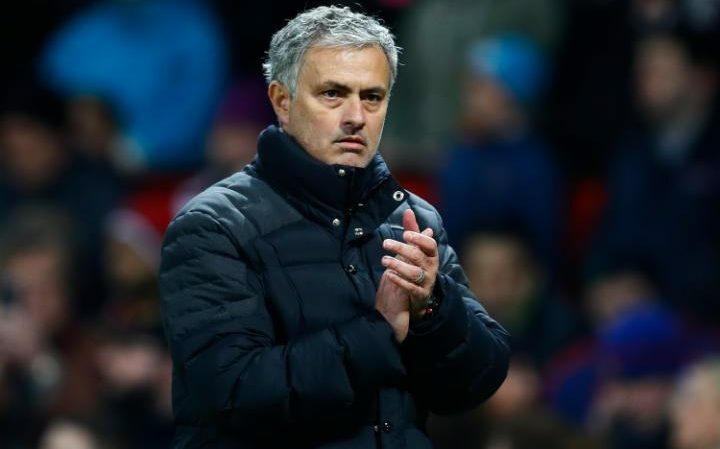 Jose Mourinho is eyeing a long-term successor to Michael Carrick, and the England international has been earmarked at the perfect fit for the role owing to his age and experience. Carrick, 35, is likely to be limited with his first-team opportunities next season, and his successor will get the chance to cement himself as a regular at the centre of the park.